MILK-BLOOD was released in 2014, and received some incredible reviews. The book is unique, challenging, (I like to think) and this is reflected in 41 Five Star Reviews ("OMG, what did I just read!") to 7 One Star Reviews ("Awful. Triple Thumbs Down"). It was consistently a best-selling Drug Dependency book on Amazon. 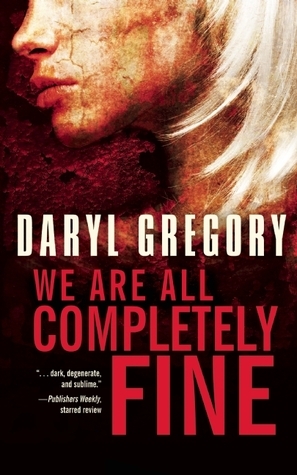 After it got some attention from a Horror Writers Association recommended reading list, I was inspired to join the HWA. Looking back at the books I have read, and it's also been a dark year of reading. A therapy group commences, and the participants share one common issue: all of them were involved in some sort of monstrous trauma, or been a part of the 'monster' world that exists parallel to ours. I loved this book. The kind of book you read where the author wrote it just for you. The group dynamics were so spot on, and the author referencing "Yalom", who is the guru for therapy group dynamics and progression, showed that he did his homework. What worked so well for me is that, from my experience working in mental health, the unique affliction felt by the participants of the group are so true to how people feel in therapy: the sense of oddness, that nobody can relate to them because of their oddness, the initial mistrust, ways that trust is gained through self-disclosure and confrontation and identifying ourselves in others. Also, how the group dynamics start to bleed into interactions outside of the group, and behavior gets 'practiced' and then reported back to others. Some PHD student somewhere should use this book for a thesis. Yeah it came out in 2013, but, I read it in 2014, and the author's 2014 follow up novel, Factory Town, was close enough in tone to be a sequel. I loved them both, and this author is now on my auto-buy list. 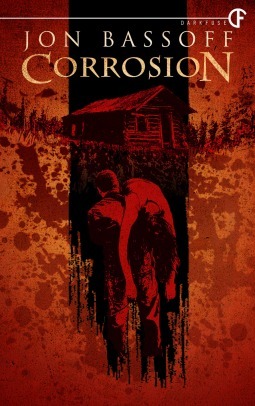 Corrosion was unforgettable and a bit mesmerizing with a unique narration that hit its mark with me. I couldn’t help but think of what effort this must have taken to write. There is a message in here that spoke to me about how the presumed back story of a character can completely change your perspective. In the field of mental health therapy, there is a technique known as “Narrative Therapy”, where one changes the narrative of their own personal history in order to rewrite themselves and give themselves a new identity. Well, this takes that to new dark depths. Another book that seems to be written specifically for me. I don’t really do running clubs. I run as I dream—alone. But if I did join a club, it would certainly be to run through a post-apocalyptic wasteland with some new found mates, trying to reach my family before they shipped off forever. Any club that helps a runner make a friend of the pain and sets their beast free is right on. This is part of the scenario in this novel. 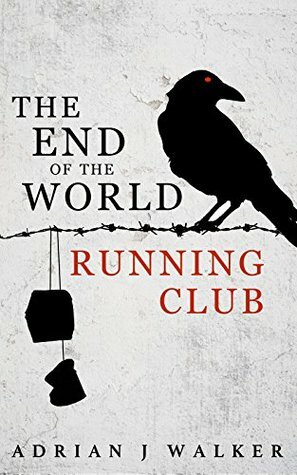 It is a wonderful, harrowing, epic, witty, and emotional story of the apocalypse and one man’s attempt to be the father he wanted to be after the world ends. I almost cried at the end of this book. Well, I did cry, but nobody saw. If a tear falls in the forest…. *The End in All Beginnings "What Becomes God"
A collection of Novellas, really, and everyone will have their own favorite, mine is the first piece called "What Becomes God" about a terminally ill boy and his friend. It highlights Taffs ability to tend to his characters and write about the universal human experiences with the macabre as the backdrop. Horror works best when the fantastic, the macabre, the twisted, (you name it) is used to bring forth the most basic of human emotions and relationships and throw a spotlight on it through speculation. That is what I found inside all of these novellas. Writing about things that splatter only impresses me if I care about the character. These stories don't splatter, they slowly creep into your heart, and they are smart and rewarding. The situations the humans find themselves in are familiar: childhood friendships, family ties, lost loves, and the things that are important and hold us together (or tear us apart). The writing itself is the kind that makes me marvel at the writer's talent. The plot twists and depth of characters kept me reading. There are a few hundred books that I am sure would be up here if I had more time, but they are set for 2015.